West Indies, the team to win the first ever cricket World Cup, the first team to defend a World Cup title, the first team to reach three consecutive finals in World Cups, the most stylish yet feared team in the 70s, 80s and early 90s, is now the 10th team to enter a 10-member World Cup next year. Also, they qualified by finishing as the runner-ups in the qualifying tournament, losing to Afghanistan in the finals. This must have hurt given the sharp decline in the quality of the Caribbean side, from immeasurable heights to unimaginable depths. Here we look at their decline in ODIs post the 2015 World Cup in numbers. 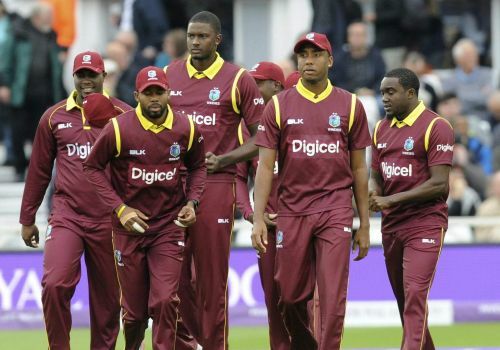 28.89%- The win percentage of West Indies post 2015 World Cup, the lowest among all the nations who are going to participate in the 2019 World Cup. Above them are Sri Lanka, who are facing a decline too, with a 33.33% win percentage. 24.97- Batting average of West Indies batsmen post 2015 World Cup, which again is the lowest among the nations competing in the 2019 World Cup. 40.81- Bowling average of West Indian bowlers post 2015 World Cup, worst among the nations taking part in the next World Cup. 0- Number of series wins against teams participating in the next World Cup, post 2015. 10- Number of bilateral series lost against participating nations of 2019 World Cup, the most for any team, and a solitary draw coming against Afghanistan. Missed an ICC event for the first time, when they failed to qualify for the 2017 Champions Trophy. Not only this, their last series win at home came against Bangladesh in 2014. The last series win against a higher ranked opposition at home came in 2012 against New Zealand. Against India, they are yet to win a bilateral series since the win in 2006 at home under legendary Brian Lara, having lost all seven series since then. The current state of the side does not promise to change the fortunes either. For West Indies, the power house they were and the entertainment they provided, is all a matter of folklore now. Their journey from such a glorious past to the dubious present is something every team and every cricket Board would keep in mind to make sure they stay on top of their game always and not let their teams fall into such downward slides.